New Year’s Eve – An All Night New Orleans Party! Things are Buzzing in NOLA! Put on your RED DRESS! 4 Ways to Celebrate the Fourth of July in New Orleans! 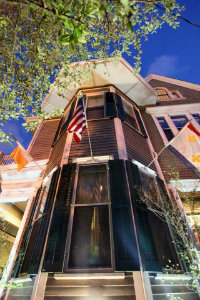 Make Plans for a Fabulous Holiday in New Orleans! Happy Holidays from 1896 O’Malley House! 3 Weeks till Mardi Gras 2013 – New Orleans’ Biggest Party! April Showers Bring Awesome Events to New Orleans! Have a Magical Christmas in New Orleans! Essence Music Festival – July 3 – 6, 2014 – Stay with Us! The Louisiana Marathon – January 17th -19th, 2014 – Geaux Run! It’s Mardi Gras Time Again! It’s the 2015 Festival Season in New Orelans!